Why go to a school built by academics who are NOT doing what you want to do for a living, when you could attend a mentored externship program taught by industry professionals who are doing exactly what you want to be doing for a living (CREATING music, films, or radio programming)? The RRFC family of Externship Programs (RECORDING, FILM AND RADIO CONNECTION) is industry sponsored. Over 3,000 well-known Music Producers, Audio Engineers, Film Producers, Film Directors, Radio DJs, Program Directors, Editors, Mixers, Artists, Filmmakers, Sound Technicians, Screenwriters, Studio Owners, Production Company Owners, Gaffers and Lighting Technicians, Sound Engineers, Live Sound Engineers, and Composers have officially endorsed the validity and effectiveness of our method of education and course curricula. The following music, film and radio professionals who currently sit on The RRFC Board of Advisors are an integral part of the RRFC family because they understand that the smart way to learn and break into music, film, or radio is via the RRFC externship family of programs. As the Board of Advisors for our program, these professionals want you to know that they approve in full of our method of education and courses. John Paul is a 20-year radio vet and current program director/afternoon DJ at KUPL in Portland, OR. 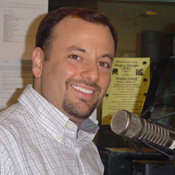 He spent his radio career holding nearly every job in a radio station (APD, MD, Promo Director, producer, DJ on every day part), and programmed radio stations in Buffalo, NY, Columbus, Indiana and Portland, Oregon. 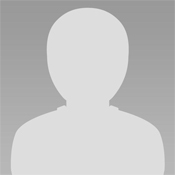 Worked multiple formats (country, rock, oldies, Top 40, talk). A renowned producer, songwriter, musician, manager, studio owner and author, Josquin des Pres is a lifelong music impresario, consistently maintaining the respect of his peers throughout the music industry. His business successes over the years and his credits with some of the biggest names in the music industry make Josquin an invaluable asset to any entrepreneurial music venture. While growing up in France, Josquin des Pres relentlessly focused on becoming a professional musician and songwriter, getting signed to his first major record deal while still in his teens. He went on to tour the world with some of the biggest acts in France before moving to southern California to continue advancing his career. 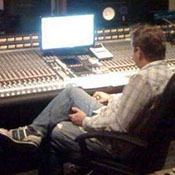 Over the years, Josquin has earned a reputation as an in-demand session player and songwriter, working with some of the biggest names in music (including a long-term collaborative partnership with Bernie Taupin, noted lyricist for Elton John) and composing music for many TV shows and networks. Since 1997, Josquin has operated Track Star Studios, one of the most successful recording studios in San Diego. 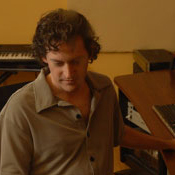 Starting his music career as a teenager, Mark Christiansen was producing independent recording projects before he was 20 years old. As a musical artist, he’s had the privilege over the years of touring with the likes of The Clash, Radiohead, The Wallflowers and The Gin Blossoms. Today, Mark is one of the most highly regarded mastering engineers in New York City, working with hundreds of artists, labels and major corporations including Trey Songz, 50 Cent, Kylie Minogue, The Killers, A$AP Rocky, The Ting Tings, Sia and a host of others. Mark owns and operates Engine Room Audio in New York. A noted musician, songwriter and producer, Steve Sundholm saw his first big music industry success with his production of Grammy-nominated artist Jim Brickman’s song “Hideaway,” which went to No. 3 on the Adult Contemporary chart. Since then, Steve has worked in the studio with Carrie Underwood, Chris Daughtry, Ryan Tedder, Hall and Oates, Lady Antebellum, Kesha, Green day, Lil’ Wayne, Madonna and many others. Recently, Steve left the Los Angeles music scene to return to his hometown of Portland, Oregon, where he currently works as the “genius mixmesiter” at Kung Fu Bakery Recording Studios. 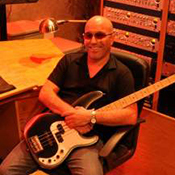 A musician, producer and engineer, Jason Demetri started his music career with a band called Soak, then went on to produce his own solo recordings when the band ended before settling in to the production side. Since 2003, Jason has owned and operated Music Lane Recording, voted multiple times as the best recording studio in Austin, TX. 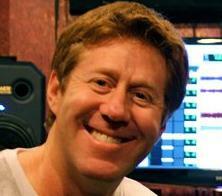 Like many music industry greats, Rick Rooney started his career as a live sound engineer. 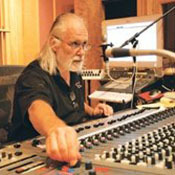 In 1970, he founded Associated Sound Productions specifically to provide live sound for touring artists. In the years that followed, he provided live sound for touring artists that included Diana Ross, Alabama, Iggy Pop, Reba, Joe Cocker and many other music icons. From there, Rick expanded his skills into studio production, working in a number of noted studios across the country before establishing Planet Dallas, a state-of-the-art production facility that offers recording/producing, live sound, publishing and more. Today, Planet Dallas is one of the most acclaimed facilities in Texas, doing projects for major labels and iconic artists as well as up-and-coming bands. 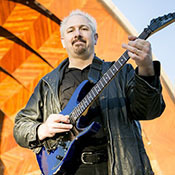 Starting his music career in his home state in Connecticut, Mike Johnson has established himself as a seasoned multi-instrumentalist with over 15 years of professional audio engineering experience. 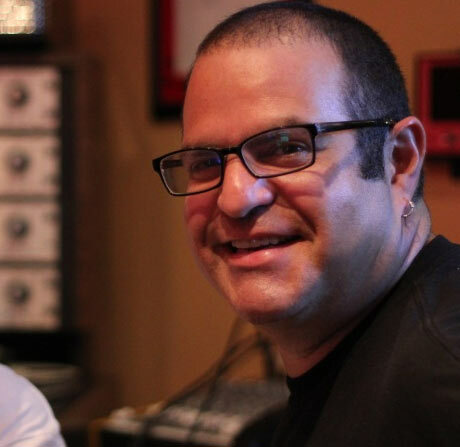 Founder and chief engineer of Clear Track Studios in Florida, Mike enjoys working with emerging artists as well as established icons, with a personal client list that includes John Legend, Chick Corea and John Blackwell. At Clear Track, Mike also oversees a team of pros who have worked with names like Justin Timberlake, U2, Madonna, Lady Gaga, Tom Petty and many others. A perfect example of "working your way up" Yudu Gray, Jr. went from being an intern at a Maryland recording studio to designing and founding House Studios, one of the most acclaimed recording studios in the Washington, DC area, and also expanding into film production, artist management and more. 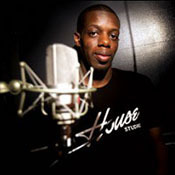 In his years working in the industry, Yudu has worked with such icons as Lady Gaga, Talib Kweli, Ginuwine and The Roots. 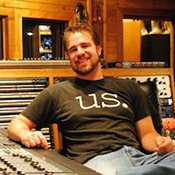 An accomplished audio engineer, producer and mixer, Jesse O’Brien has been with Colorado Sound Studios in Westminster, Colorado since 2005, not only establishing himself as an in-demand producer, audio engineer and mixing engineer, but also building a solid reputation for his innovative loop and beat making capabilities in the pop, hip-hop and R&B genres. Jesse also specializes in live recording with Colorado Sound’s mobile studio, frequently working live recording sessions at the famed Red Rocks Amphitheatre and other live venues. Jesse has worked with a large number of major artists like Natasha Bedingfield, Widespread Panic, Matishyahu, Norah Jones, Alabama Shakes, Mumford & Sons, Dave Matthews Band and many others. A true industry veteran, Mark Sinko has been performing and recording music for almost five decades, and in that time he has stayed consistently on the cutting edge of recording and engineering technology. As a guitarist and vocalist, his experience is broad and diverse, having gigged with rock bands, opera companies, Broadway road shows and almost everything in between—however, his personal specialty is jazz and fusion, and he’s in-demand both as a jazz musician and as a live jazz sound engineer. Since 2002, Mark has operated Salmon Peak Studio, one of the most acclaimed recording studios in San Antonio, TX. Donny Baker’s journey into professional audio started in high school, beginning with live audio gigs, and evolving into a 13-year stint doing live sound engineering for some of the biggest names in the music business. These days, he can be found at ES Audio in Glendale, CA, where he serves as chief engineer and studio manager. Donny is also an avid supporter of the Recording Connection and one of our most in-demand mentors. 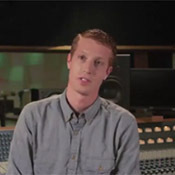 A real industry pro, Zack Phillips started his music career as a club DJ and live sound engineer, and expanded to specialize in recording, editing, producing artist development and more. An innovator in sound production, Zack’s approach to audio is equal parts science and mysticism. Whatever the formula, the industry has taken notice. Over the years, Zack has been able to work with clients that include Jessie Ware, Talib Kweli, BOY, The Game, Shy Girls, The Kooks and many others. 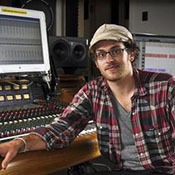 Since 2005, Zack has owned and operated FreqLab Recording in San Francisco, CA. A producer, engineer, mixer and songwriter, Matt Linesch is the whole package when it comes to industry know-how. During his years in the business, he’s worked with many great musicians, with his most recent credits including mixing/engineering the soundtrack for the acclaimed film “All Is Lost” as well as the last two albums for Edward Sharpe and the Magnetic Zeros. Matt is currently a resident engineer at the world-famous Ocean Way Recording in Hollywood, a studio that has yielded such iconic songs as The Beach Boys’ “Good Vibrations” and The Mamas and Papa’s “California Dreamin’” and whose collective album sales total over 1 Billion units. 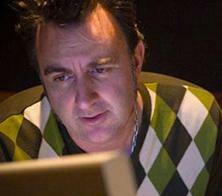 Tim Palmer is one of alternative rock’s most recognized and respected names. Originally from England, then L.A., and now based in Austin, Texas, Tim is a household name among famous musicians and record executives. His Platinum credits speak for themselves: as a record producer, engineer and mixer, Tim’s credits include David Bowie, Tin Machine, The Cure, Pearl Jam, Duran Duran, Tears for Fears and U2. 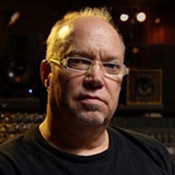 Warren Huart is a well known songwriter, audio engineer, music producer and mixer who has made recordings for The Fray, Korn, Better than Ezra, James Blunt, Matisyahu, and Howie Day to name a few. Warren also has extensive Film and TV credits including: Inglorious Basterds, Transformers 2, MTV’s The Hills, Lost, Scrubs, and Grey’s Anatomy. Warren also co-owns a recording studio in Los Angeles, CA. BZ Started Studio 132 in 1996. Today, Studio 132 has one of the largest sound effects libraries in the Bay Area. BZ Lewis works as a composer who has done work for feature films, popular video games, national commercial advertisements for companies like Nissan, TV shows such as The Shield, and numerous MTV shows. Ryan Greene is best known for working with such bands as NOFX, Lagwagon, No Use For a Name, Authority Zero, Good Riddance, Sick Of It All, Big Wig, Stretch Armstrong, Fenix TX, Bracket, Pulley, Propaghandi, Ignite, Nerf Herder, Me First And The Gimmie Gimmes, Ten Foot Pole, Mad Caddies, Megadeth, Tonic, Lita Ford, Cheap Trick, Gladys Knight, Patti LaBelle, Mr. Big, Wilson Phillips, Tracy Spencer, and Dangerous Toys, to name a few. 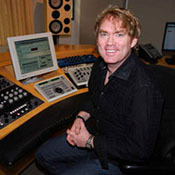 Preston Boebel was a student of recording Connection back in 1999 who trained with Recording connection mentor Brian Levi at Clear lake Audio. Now he is Chief Engineer of Clear Lake Audio and a Recording Connection mentor himself! Billy Flores attended the Recording Connection and worked his way up the ladder. Now he does live sound for Eminem, the Rolling Stones, Aretha Franklin, Black Eyed Peas and more. With a grueling tour schedule that took the Black Eye Peas across the U.S., Europe, Australia and back to the U.S., Flores has been with the band for more than a year, and for over a quarter-century he mixed monitors for the likes of Sting, Four Play, B.B. King and Eminem. 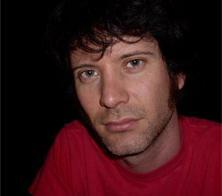 Joseph Heier is charismatic and gifted producer/musician. 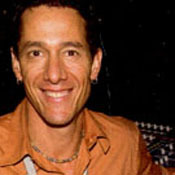 Joe’s commitment to quality started over 28 years ago as he realized the need for “doing it right” in the studio world. 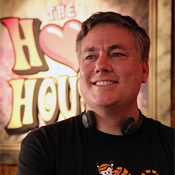 In that span, Joey has earned a reputation in excellence, and has helped revolutionize the pro video and audio field by bringing integrity back to the forefront. 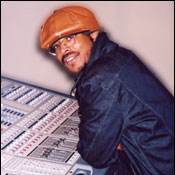 Cortez Farris began as an assistant engineer in New York City where he took a position at the famous Hit Factory. Cortez quickly became one of the hottest Producers in the Hip-Hop and R&B community, having worked with the Black Eyed Peas, Lil’ Kim, Whitney Houston, Mary J. Blige and Alicia Keyes to name a few. Aside from working with many of today’s top selling artists, Cortez currently works as a freelance Engineer/Producer for Sound On Sound Studios in midtown Manhattan.